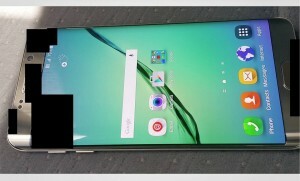 If you have been holding on for a bigger version of Samsung’s Galaxy S6 edge, then you might be interested in the images that have leaked online today, courtesy of popular YouTuber Marques Brownlee. As you can see in the pictures below, what we’re looking at seems to be a Galaxy S6 edge with a larger screen, something the extra column of icons on the homescreen also hints at. Rumors have said that the Galaxy S6 Plus will feature a 5.5-inch display, and it certainly looks like that is the case. Even on the back, it’s clear to see that there is a bit more space between the camera module and the phone’s edges. However, as leaks have suggested, the Galaxy S6 Plus won’t have the same flagship-level hardware as the regular Galaxy S6, with a hexa-core Snapdragon 808 processor one of the main downgrades. The Plus model is rumored to be launching in the coming weeks, instead of alongside the Galaxy Note 5 later this year as our own insiders had suggested. 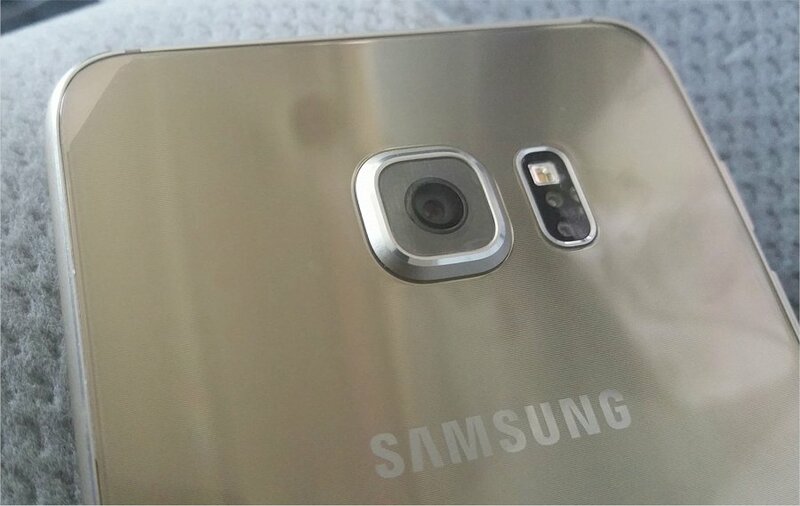 The images do reiterate one thing – a bigger Galaxy S6 edge is certainly in the works, and it might not be long before we see Samsung making it official.